There is something therapeutic about baking bread. And this is a quick therapy session that requires 6 ingredients and 2 hours of your time. Most of the two hours is spent in the warm, sweet smell of fresh dough rising. Can’t think of much that is better than that. 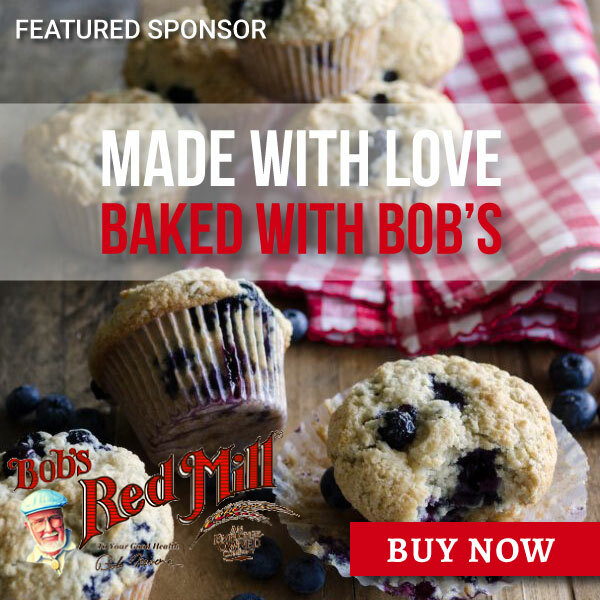 The thing that I love about this recipe card is that my grandma has laid claim to the recipe with the inclusion of “(mine)” in the recipe title. In doing so, has declared her assurance that the maker will experience success. There is something very empowering in that. 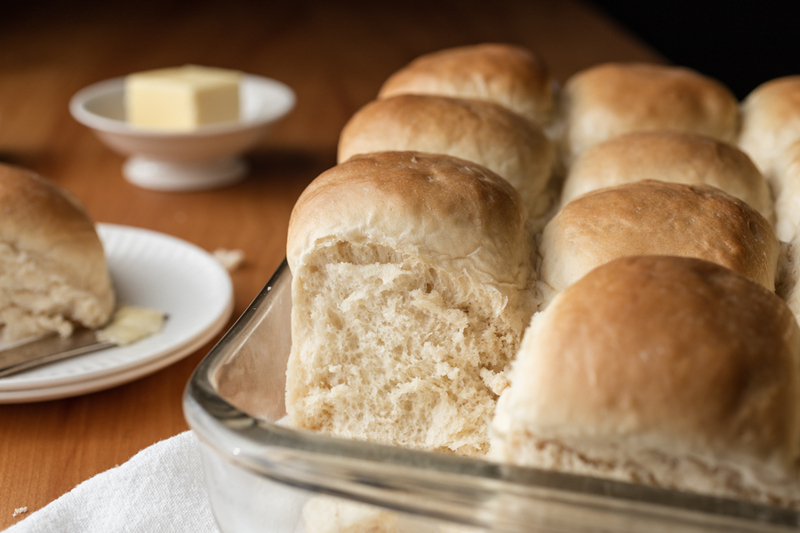 These easy dinner rolls are from my grandma's recipe box. And they are beyond delicious, light, fluffy and able support a great big pat of butter. Grease a 9 x 13 baking pan and set aside. Pour the warm water into a small bowl. Sprinkle the yeast over the water, stir to combine and let stand until foamy, about 10 minutes. With a stand mixer or hand mixer on low speed, cream the shortening and sugar. Add boiling water and stir until shortening mixture has dissolved. Allow to cool so that you don't cook the eggs when you add them in the next step. Add the yeast mixture, salt and flour 1/2 cup at a time until the dough comes away from the bowl. Turn out onto a lightly floured surface and knead for about 5 minutes. Place the dough in a greased bowl. Turn the dough over once so that the top is greased, cover with a clean tea towel and allow to rise for 1 hour. Deflate the dough and turn out onto your work surface. 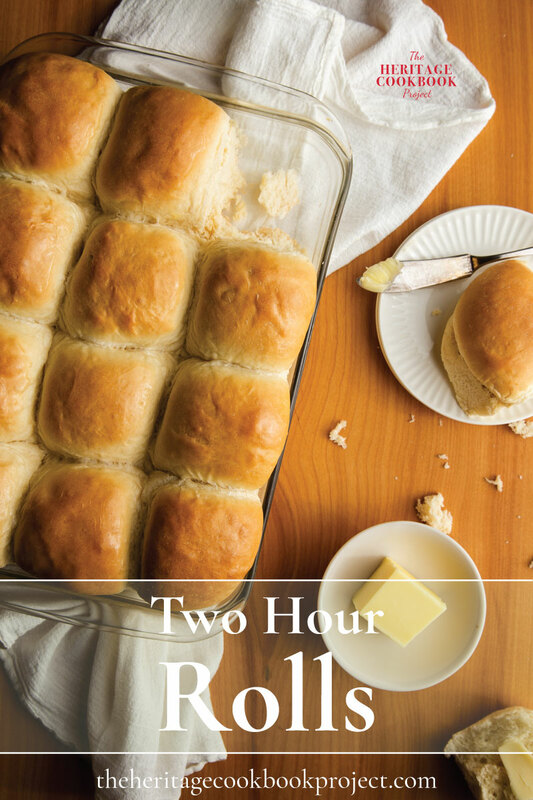 Divide dough into 12 equal portions. Shape each portion into a tight round ball and place seam side down about 1-inch apart in the prepared baking dish. Cover with a clean tea towel, and allow to rise until double in bulk. About 20 minutes before baking, set a rack in the center of the oven and heat to 350˚F. 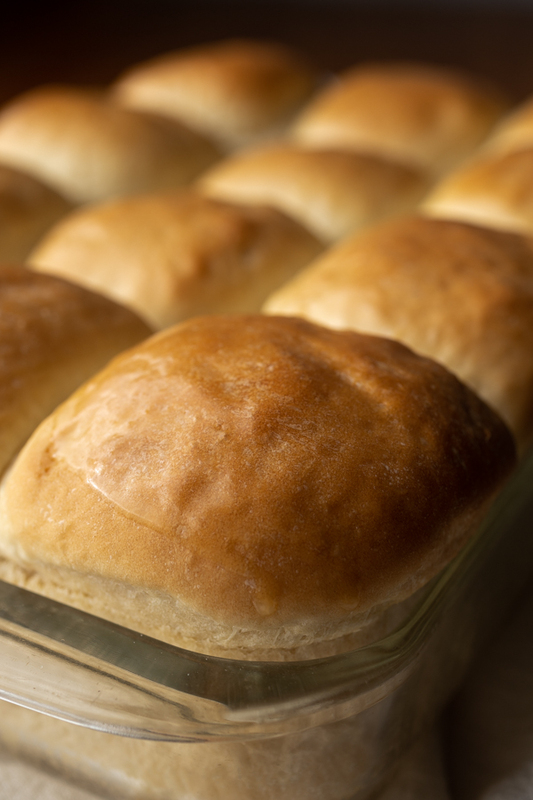 Bake for 15 - 20 minutes, until the rolls are golden brown. This recipe is from a social media game I developed called Recipe Box Roulette. 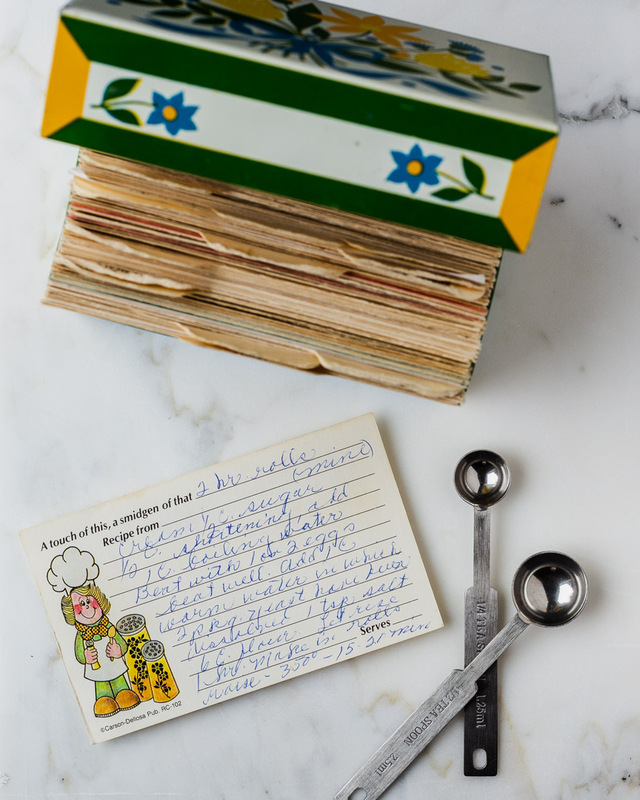 Find a family recipe box and play along.